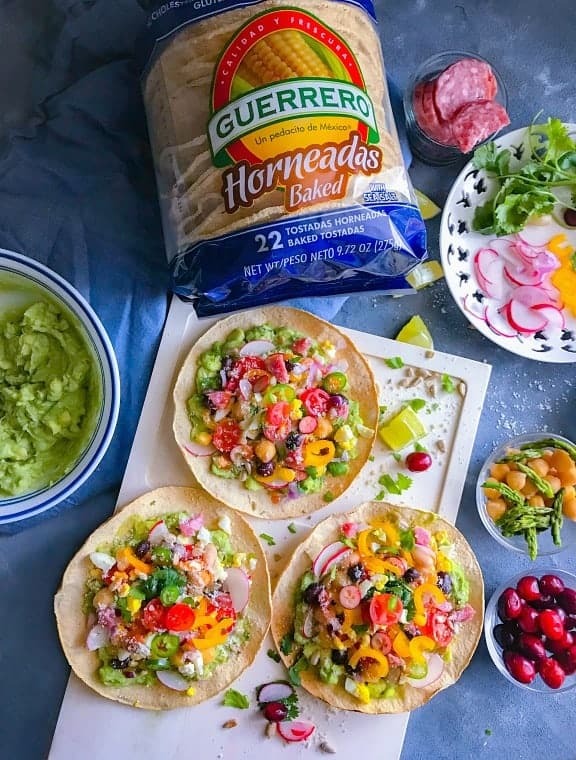 This post is written in partnership with “Guerrero Baked Tostadas”. As always, the opinions here are all my own. Sweet and Spicy Gourmet Avocado Egg Chorizo Tostada: flavorful, light and absolutely easy to prepare tostada that’s perfect for your breakfast, brunches or any time of the day. The sweet-spicy taste of smoked chorizo topped with sweet peppers and cranberries leaves you wanting more and more. The days between Christmas and New Year are the most challenging days in terms of work, schedules, and meals!! As we scramble to complete those last minute chores/work before we step into the new year, while making those new years resolution (hmmmm…I’m still working on it) and grabbing that extra large cup of coffee with a double shot (to survive) and in between all this, there’s this sudden urge of eating something light and refreshing. Especially between this post n pre-festive binge!! 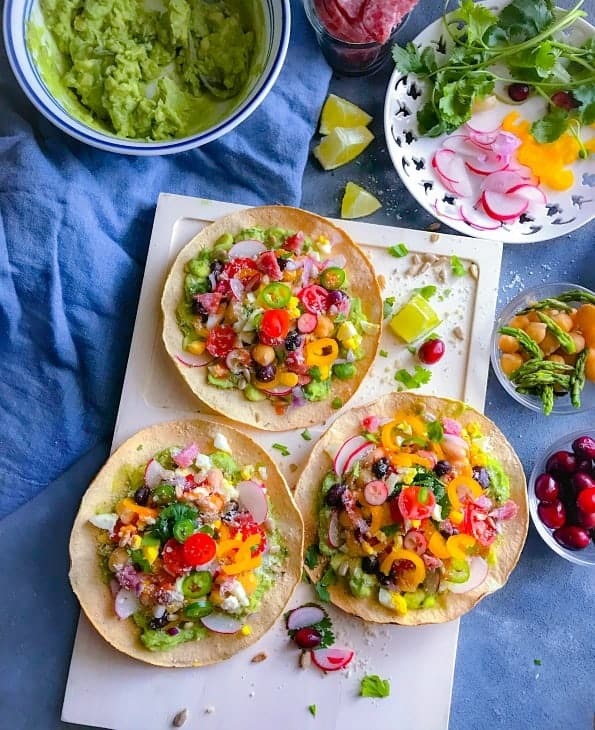 That’s when I thought of making these ‘Sweet and Spicy Gourmet Avocado Egg Chorizo Tostada’ which is a perfect balance of light and deliciousness. 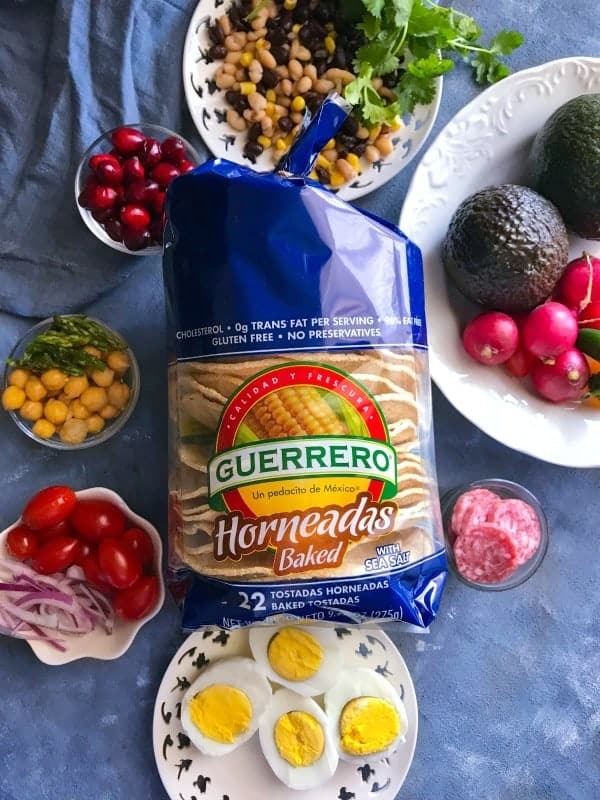 To make things even easier, I found these ‘Baked Tostadas from Guerrero‘ at my local grocery store. 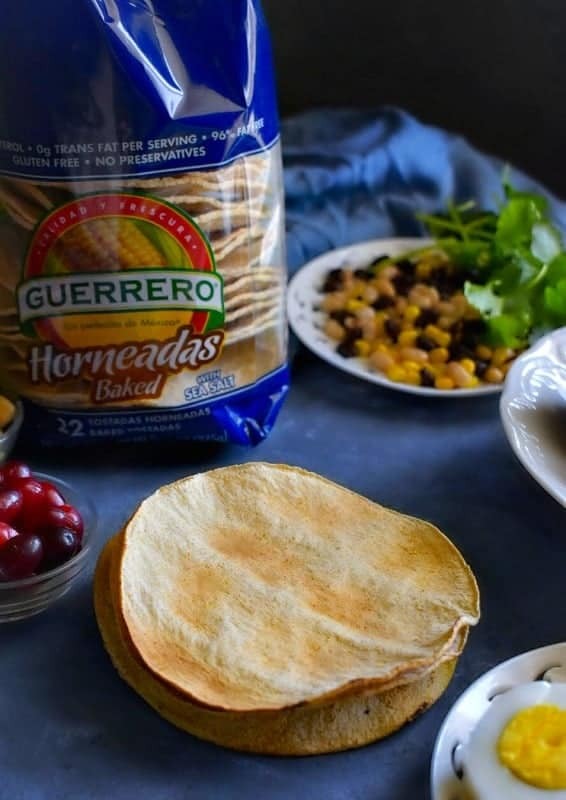 These tostadas are definitely healthier than the traditional ones as they are baked instead of fried and it’s really hard to stop nibbling on them. 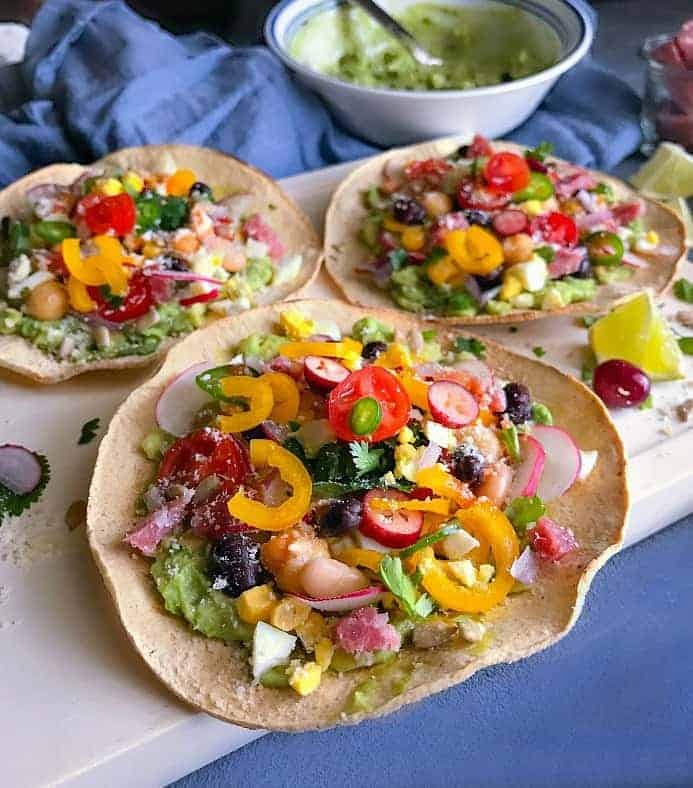 I’m also impressed as to ‘How Crisp’ they are, as I layered it with guacamole, freshly sliced veggies, eggs, relish, sauces, cheese yet they stayed absolutely firm and crisp!! You can also see how thin they are and make for a perfect base for so many recipes. After all that festive Christmas meal, we definitely wanted to eat lighter but that the same time food does move in our house unless it’s beautifully decorated or has some color on it…be it any curry, vegetable or even a simple toast…we need some color on it. So I decided to add not only the smoked – spicy chorizo (that was a part of our Christmas cheese board) but also mix in some sweet-crunchy flavors from mini bell peppers, cranberries, and onion. I’m not adding a lot of cheese or sour cream on the tostada (you can definitely do so) but instead, I made this mix of hot sauce + honey and just drizzled it over our tostada. In a small bowl, whisk together hot sauce and honey. Keep aside. Place the baked tostada on serving platter. Slather a 1 tbsp of mashed avocado on each tostada. Now add chopped eggs, smoked chorizo and toppings on each tostada. (sprinkle toppings as per choice). finally, drizzle hot sauce mix on each tostada and sprinkle with cheese. You can use any toppings of choice. You can replace chorizo with any meat of choice. 22 Replies to "Sweet and Spicy Gourmet Avocado Egg Chorizo Tostada"
Mmmm! I love tostadas. They are very under rated in my opinion. These looks so amazing and colorful! I love that you used the avocado as a base!! The worst is when everything falls off the top, LOL. This is a beautiful meal full of so much color! What a great opportunity to get my family eating more veggies. 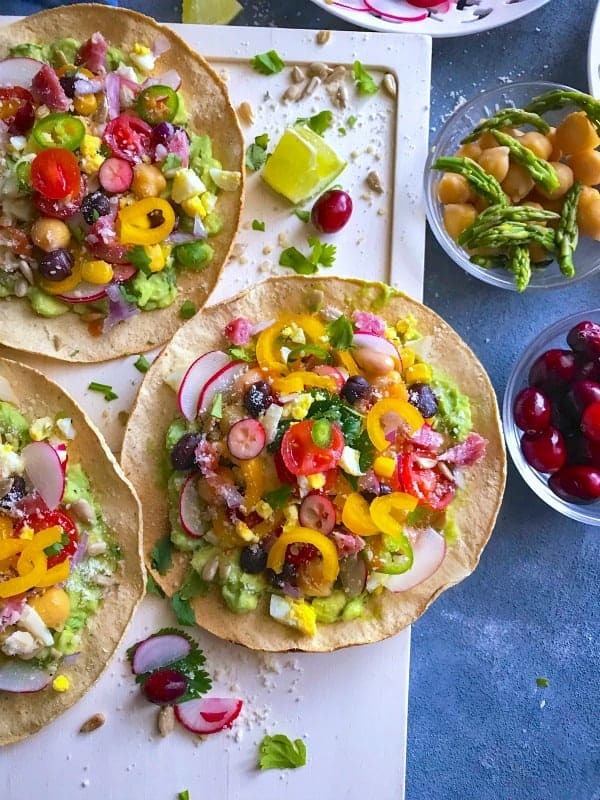 I love tostadas and those are gorgeous, colorful beauties! Yum! Oh man this looks absolutely delicious! 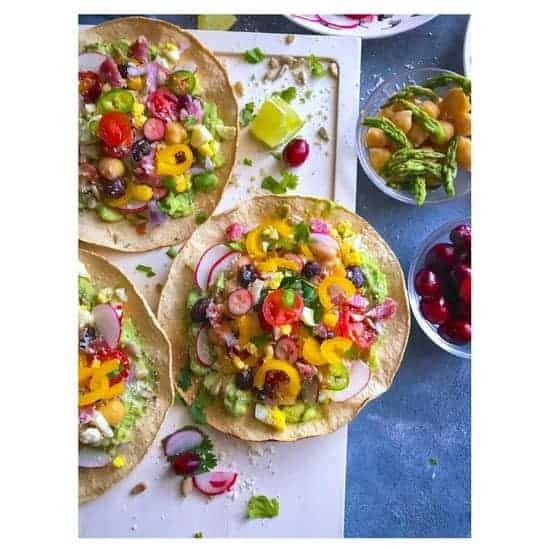 I am a sucker for anything with avocado, so I know I would love making this at home! I am pinning this recipe. Those tostadas look so good. I haven’t made tostadas yet, but this recipe is one I will have to try to make soon. These look delicious. I find that when I use more avocados or guacamole, I don’t need as much cheese or sour cream. 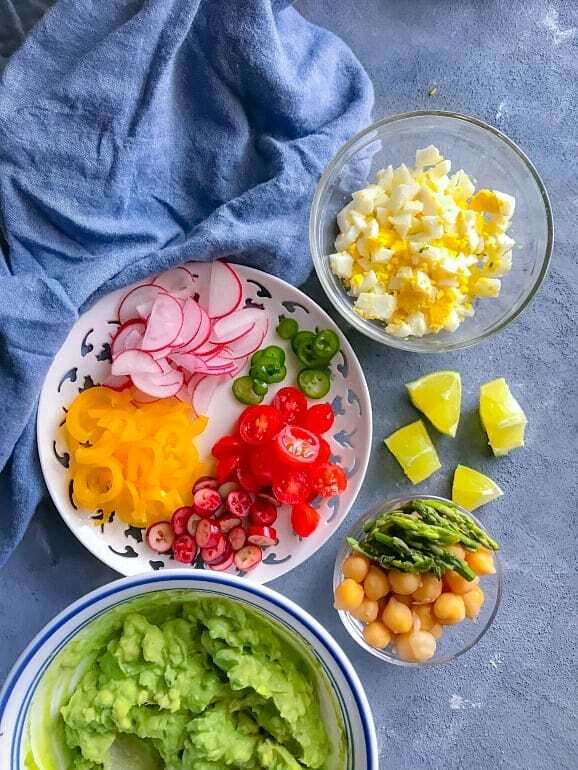 The avocadoes just pair so nicely with veggies or eggs that it really helps bring the dish together. Oooooo.. These look delicious and fairly easy to make!! We’ll have to give them a try. I’ll also have to give that hot sauce and honey a try… I’m intrigued (and I need to stay away from sour cream for a while LOL) . These look so delicious. I want to try hot sauce and honey, I love the spicy sweet combo. Pinning for later. Wow what a fancy looking brunch idea! It’s so colorful and delicious looking! I would love to try one! That looks delightful and I love that the tostadas are baked and not fried! After all the food from Christmas, you’d want to eat something like this before the New Year rolls in! To me, chorizo is that kind of sausage that’s an acquired taste. I personally love it! I’m excited to try these, as they look so delicious, and you added avocado! Mmmm, that sounds so tasty! I have a newly discovered love of avocados, so now I can’t seem to get enough!